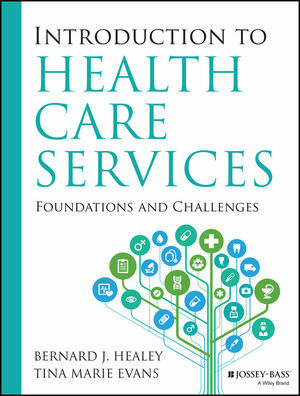 Introduction to Health Care Services: Foundations and Challenges offers new insights into the most important sectors of the United States' health care industry and the many challenges the future holds. Designed to provide a comprehensive and up-to-date understanding of the system, this textbook covers the many facets of health care delivery and details the interaction of health, environments, organizations, populations, and the health professions. Written by authors with decades of experience teaching and working in health care administration and management, the book examines the current state and changing face of health care delivery in the United States. Each chapter includes learning objectives and discussion questions that help guide and engage deeper consideration of the issues at hand, providing a comprehensive approach for students. Cases studies demonstrating innovations in the delivery of health care services are also presented. Health care administration requires a thorough understanding of the multiple systems that define and shape the delivery of health care in the United States. At the same time, it is important for students to gain an appreciation of the dilemma confronting policy makers, providers, and patients in the struggle to balance cost, quality, and access. Introduction to Health Care Services: Foundations and Challenges is an in-depth examination of the major health care issues and policy changes that have had an impact on the U.S. health care delivery system. The U.S. health care system is undergoing major reform, and the effects will ripple across every sector of the industry. Introduction to Health Care Services: Foundations and Challenges gives students a complete introduction to understanding the issues and ramifications. BERNARD J. HEALEY, PHD, is professor of health care administration at King's College in Wilkes Barre, Pennsylvania. Dr. Healey has four books and over 100 articles about leadership in health care, public health, health policy, and health care partnerships. TINA MARIE EVANS, PHD, ATC, is associate professor and department head of applied health studies at Pennsylvania College of Technology. She is an active researcher, publishing and presenting on various allied health topics on the local, regional, national, and international levels.